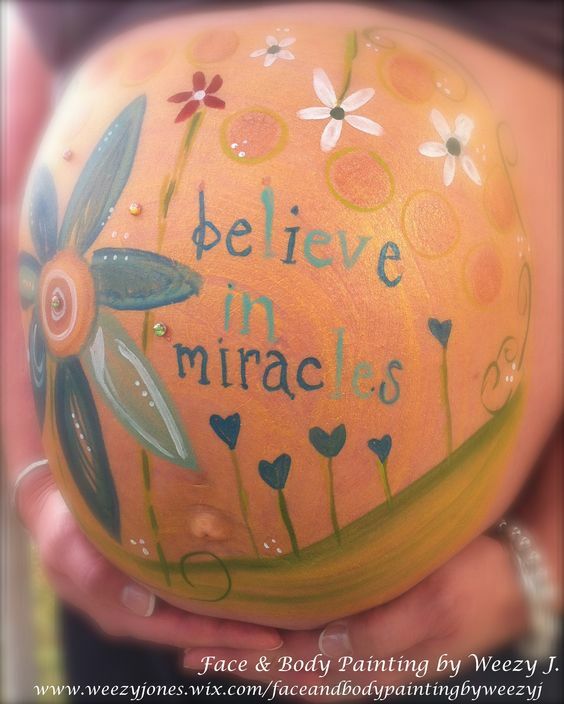 Belly Painting is a fun, modern way to celebrate this special moment for a mom to-be! 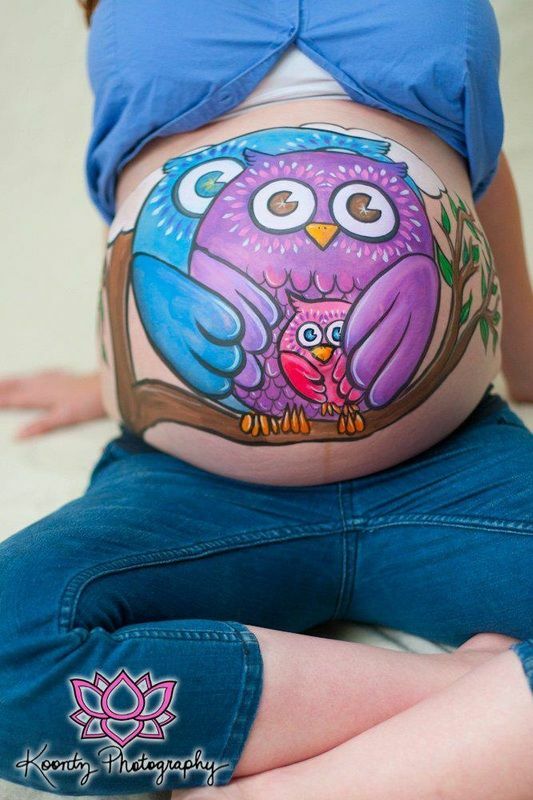 Funny Face Network has looked high and low for some of the best images of Belly Art, and this blog is all about this modern view of the pregnant belly! Yes. Professional Face Painters and Body Artists will only use FDA approved paints and glitters that are safe for skin and designed for cosmetic use. Never use acrylic paints on the skin as they are craft paints, not designed for skin, and can cause major rashes and skin inflammation. Painters will use brands like Tag, Paradise, Ruby Red, Mehron, Kryolan, Wolfe, Ben Nye, paints that are well-established brands, made of high-quality ingredients, that provide cosmetic paints and supplies designed specifically for the sensitive or delicate areas of the face and body. Easily with soap and water. Wipes or a gentle cloth will remove paints. These are designed for the skin, so easily removable. So, How does it Work, what does a Pregnant Mom Need to Know? Find a belly-artist near you, using the Funny Face Network’s directory of fabulous professional face painters. Many artists will come to your location, or provide their own home base location as a studio, especially when a photographer will be involved. Ask questions: How do appointments work- how far in advance to reserve. Most artists say to have the prenatal art about 6-7 months into pregnancy or whenever comfortable. Find out what designs are available, and look for portfolios to give you an idea. 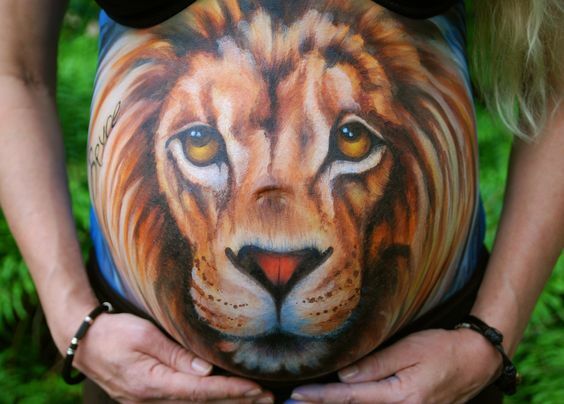 Most belly paintings are complete in one to two hours, depending on the complexity of the design. Many moms will match the nursery décor, or find something that has significant meaning to her or the baby’s father when deciding what to paint. Many moms have it done for their baby shower! Just be imaginative, and you will find the right design for you. 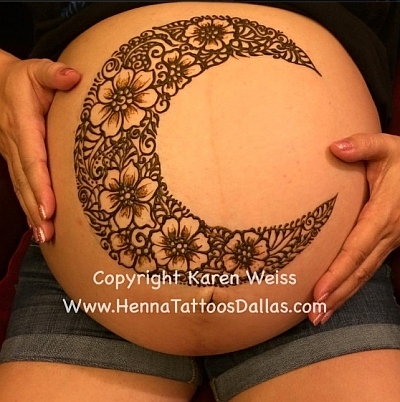 Who also offers Henna Baby Bumps! New Jersey’s Wildflower Artist, has this to say about celebrating pregnancy with Henna “Be proud of your pregnant belly!! 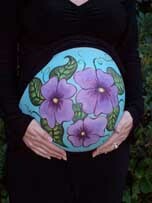 Pregnant belly art is a celebration of the pregnant form creating a joyous celebration of the last phase of pregnancy. Let your belly be a beautiful canvas! 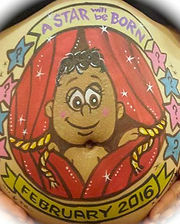 Celebrate your new figure by creating a personalized keepsake of the new addition to the family. 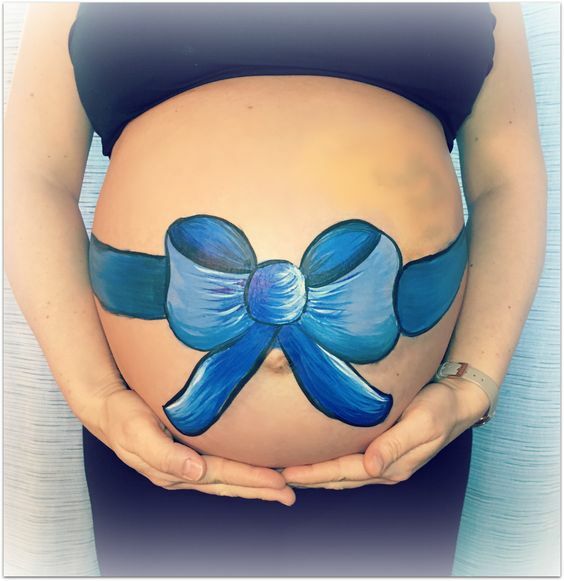 A unique & creative way to celebrate your new shape with pregnant belly art! They offer Pregnant belly henna in private sessions or baby showers, and will help create a package for your needs They say:”Henna tattoos are a great way for mommy to be pampered amidst the gentle aroma of the essential oils used the henna paste. For pregnant mommies, we use henna paste containing only lavender and jasmine essential oils. We never use black henna or any other chemicals in our all-natural henna paste.” Safe and Fun! 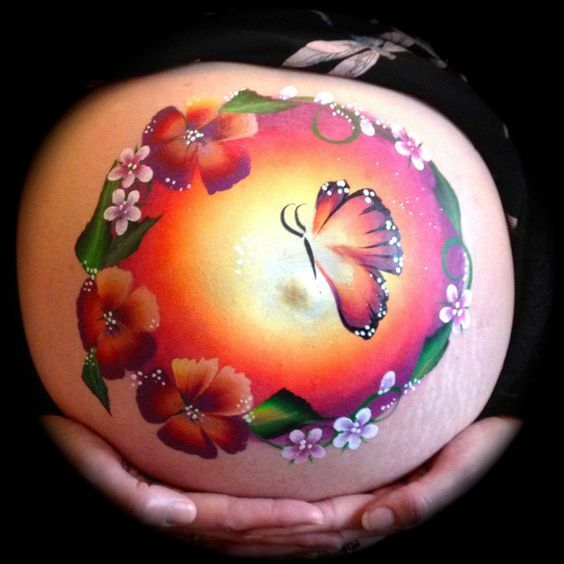 Belly Painting is Safe, and painters use FDA approved products that are generally water based. The painting sessions may seem intense but mom’s comfort is top priority and plenty of breaks will be allowed! Mom’s usually will visit the artist’s home or studio, and lay down comfortably for the process. Of course painters can come to you, and do on-site paintings, which are great for parties and showers! Pregnancy is a fun and amazing time that is very special for the parents and siblings to be. Embrace it with this fun and creative medium, and expression of excitement and anticipation!